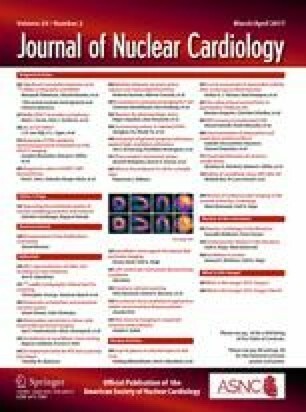 The American College of Cardiology, Society for Cardiovascular Angiography and Interventions, Society of Thoracic Surgeons, and American Association for Thoracic Surgery, along with key specialty and subspecialty societies, have completed a 2-part revision of the appropriate use criteria (AUC) for coronary revascularization. In prior coronary revascularization AUC documents, indications for revascularization in acute coronary syndromes (ACS) and stable ischemic heart disease were combined into 1 document. To address the expanding clinical indications for coronary revascularization, and in an effort to align the subject matter with the most current American College of Cardiology/American Heart Association guidelines, the new AUC for coronary artery revascularization were separated into 2 documents addressing ACS and stable ischemic heart disease individually. This document presents the AUC for ACS. Clinical scenarios were developed to mimic patient presentations encountered in everyday practice and included information on symptom status, presence of clinical instability or ongoing ischemic symptoms, prior reperfusion therapy, risk level as assessed by noninvasive testing, fractional flow reserve testing, and coronary anatomy. This update provides a reassessment of clinical scenarios that the writing group felt to be affected by significant changes in the medical literature or gaps from prior criteria. The methodology used in this update is similar to the initial document but employs the recent modifications in the methods for developing AUC, most notably, alterations in the nomenclature for appropriate use categorization. A separate, independent rating panel scored the clinical scenarios on a scale of 1 to 9. Scores of 7 to 9 indicate that revascularization is considered appropriate for the clinical scenario presented. Scores of 1 to 3 indicate that revascularization is considered rarely appropriate for the clinical scenario, whereas scores in the mid-range (4 to 6) indicate that coronary revascularization may be appropriate for the clinical scenario. Seventeen clinical scenarios were developed by a writing committee and scored by the rating panel: 10 were identified as appropriate, 6 as may be appropriate, and 1 as rarely appropriate. As seen with the prior coronary revascularization AUC, revascularization in clinical scenarios with ST-segment elevation myocardial infarction and non–ST-segment elevation myocardial infarction were considered appropriate. Likewise, clinical scenarios with unstable angina and intermediate- or high-risk features were deemed appropriate. Additionally, the management of nonculprit artery disease and the timing of revascularization are now also rated. The primary objective of the AUC is to provide a framework for the assessment of practice patterns that will hopefully improve physician decision making. The ‘Online Appendix’ referred to in ‘APPENDIX 2: RELATIONSHIPS WITH INDUSTRY (RWI) AND OTHER ENTITIES’ can be found as electronic supplementary material on SpringerLink. Visit www.SpringerLink.com and search for the DOI or article title. This document was approved by the American College of Cardiology Board of Trustees in October 2016. The American College of Cardiology requests that this document be cited as follows: Patel MR, Calhoon JH, Dehmer GJ, Grantham JA, Maddox TM, Maron DJ, Smith PK. ACC/AATS/AHA/ASE/ASNC/SCAI/SCCT/STS 2016 appropriate use criteria for coronary revascularization in patients with acute coronary syndromes: a report of the American College of Cardiology Appropriate Use Criteria Task Force, American Association for Thoracic Surgery, American Heart Association, American Society of Echocardiography, American Society of Nuclear Cardiology, Society for Cardiovascular Angiography and Interventions, Society of Cardiovascular Computed Tomography, and the Society of Thoracic Surgeons. J Am Coll Cardiol 2016;69:570–91. This document has been reprinted in Catheterization and Cardiovascular Interventions and the Journal of Nuclear Cardiology, with the permission of the American College of Cardiology Foundation. Copies: This document is available on the World Wide Web site of the American College of Cardiology (www.acc.org). For copies of this document, please contact Elsevier Reprint Department, fax (212) 633-3820 or e-mail reprints@elsevier.com. Permissions: Multiple copies, modification, alteration, enhancement, and/or distribution of this document are not permitted without the express permission of the American College of Cardiology. Please contact healthpermissions@elsevier.com. The online version of this article (doi: 10.1007/s12350-017-0780-8) contains supplementary material, which is available to authorized users. The College and its partnering organizations rigorously avoid any actual, perceived, or potential conflicts of interest that might arise as a result of an outside relationship or personal interest of a member of the rating panel. Specifically, all panelists are asked to provide disclosure statements of all relationships that might be perceived as real or potential conflicts of interest. These statements were reviewed by the Appropriate Use Criteria Task Force, discussed with all members of the rating panel at the face-to-face meeting, and updated and reviewed as necessary. The following is a table of relevant disclosures by the rating panel and oversight working group members. In addition, to ensure complete transparency, a full list of disclosure information—including relationships not pertinent to this document—is available in the Online Appendix. ■ W.L. Gore & Associates, Inc. Note: A standard exemption to the ACC relationship with industry policy is extended to AUC writing groups, because they do not make recommendations but rather prepare background materials and typical clinical scenarios/indications that are rated independently by a separate panel of experts. This table represents relevant relationships of participants with industry and other entities that were reported by reviewers at the time this document was under development. The table does not necessarily reflect relationships with industry at the time of publication. A person is deemed to have a significant interest in a business if the interest represents ownership of ≥5% of the voting stock or share of the business entity, or ownership of ≥$5,000 of the fair market value of the business entity; or if funds received by the person from the business entity exceed 5% of the person’s gross income for the previous year. Relationships that exist with no financial benefit are also included for the purpose of transparency. Relationships in this table are modest unless otherwise noted. Please refer to http://www.acc.org/guidelines/about-guidelines-and-clinical-documents/relationships-with-industry-policy for definitions of disclosure categories or additional information about the ACC Disclosure Policy for Writing Committees. ACC = American College of Cardiology; AUC = appropriate use criteria. TIMI Study Group. http://www.timi.org. Accessed March 15, 2011.